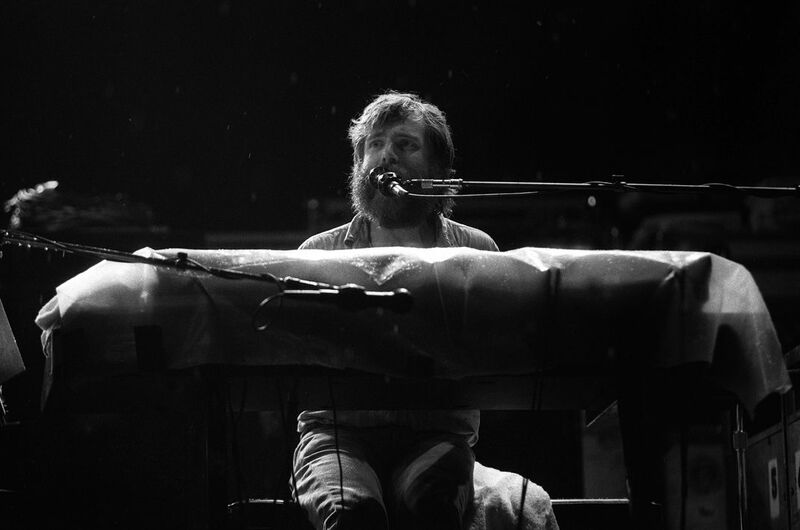 Brent Mydland of the Grateful Dead in concert in the rain at Carter-Finley Stadium, NC State University, Raleigh, NC on 7/10/90. Brent died of a drug overdose just 16 days later on July 26, 1990. Date Uploaded: Nov. 30, 2016, 4:31 p.m.